A picture of Ewen Gillies who died quite recently (2003). As well as his wartime exploits for which he gained a DFC and bar, Ewen will also be remembered as an excellent footballer who played for Ross County and Inverness Thistle. 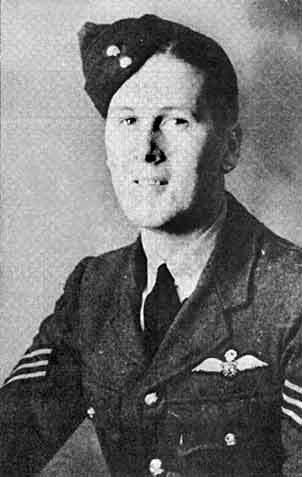 During the war in 1942, Ewen proved himself to be an excellent pilot and flew over 40 missions in Beaufort Torpedo Bombers from the besieged island of Malta . Ewen was also chosen to take part in the fly past at the victory parade in London.